When planning our last trip to Disney we knew we wanted to take the kids to a Disney water park. Disney has two of them: Typhoon Lagoon and Blizzard Beach. I researched both of them (it had been years since I had been to either) and tried to pick one. However, who can pick when the options are “Caribbean Beach theme” or “Melted Ski Slopes”? Impossible decision, so we made the only logical choice: visit both! So if you are faced with this same problem, I thought I’d tell you the pros and cons of both of them to help you decide. Pros: Typoon Lagoon is a Disney Water Park that covers 61 acres and is near the Disney Springs area. It has a huge wave pool where on occasion a boat horn blows and a huge wave comes crashing into the “shore”. Because the pool is so large, you still have plenty of space from other guests. The pool area is surrounded by a beach with sand and chairs to lay out in the sun. Since we all know I have three kids, this really wasn’t utilized by me, but they do have them! You can also rent a cabana to get out of the sun. We opted to not do this, which I feel was a good decision because there was so much to do, you don’t sit down much. As you walk around the pool you run into several different water slides. They have many different types of slides ranging from easy sliding to more extreme. They have a family slide there as well which was fun (well, Aris, my middle child hated it….but she hates anything “scary”). There are several different places to get food and drinks. Also, there is an awesome lazy river that circles the water park. It has water falls and sprayers and several different entry and exit areas. Lyra and my husband, Michael, went to do some of the “scarier” slides while I stayed with the other two. Lyra came back so excited about every slide. Tennison and Aris’ favorite thing there was the “Ketchakiddee Creek” which was the little kids play area. It was a pretty large area and had a sandcastle theme. There were little slides and even a tube slide that was smaller for the little kids. Cons: Though the big wave pool is very cool to look at, when you are traveling with little kids, it’s actually quite terrifying. 😂 Every time the bell rang my kids would run or we had to hold all of them. The wave is incredibly strong and knocks them over and maybe even you along with them. For kids who aren’t strong swimmers yet, it does add a little anxiety. Another thing which was unfortunate is the “family slide” only allows four people in the raft at a time. This would be fine if you have a family of four or smaller, but we are riding five deep over here, so we had to split up. Which meant, my husband and I carrying two giant tubes (they were literally taller than me) up to the top of the hill. It was hard work to get it to the top and watch our three kids at the same time, while listening to my three year old whine about me carrying him. The only other con I had was that even though they had sprayers on the ground to keep the ground cool, it didn’t cover all the sidewalks. The Florida sun is hot, so the sidewalks were hot in areas. You can’t wear water shoes on the slides or the play area, but you want them for the sidewalk. So, you have to carry them around a lot, which is annoying. ere were plenty of places to get food and drinks and this water park also had cabanas you could rent. We again did not do this, which was smart for us. Blizzard Beach as a whole was pretty shaded to get to place to place which was nice for your feet. Aris and Tennison's favorite part though was the kiddie area, Tikes Peak. Once Tennison discovered it, he didn't want to leave. It had straight slides, curving slides and one that you ride a float down. The wading area was a good depth where they could actually get down in the water. There were things to climb on and even chairs close by for the parents. < strong>Cons: If having too much fun can be a con, then that is what it will have to be. I really did love everything about this water park and cannot come up with anything negative. They even had photographers walking around the kiddie area taking pictures for you! I will say that the lines for the water slides here do fill up very fast and there are no fast passes for the water parks. So get there right when it opens and do the slides first, then introduce your kids to the pool and the kiddie areas. You’ll be able to do more that way. Overall: If you haven’t already guessed, Blizzard Beach was my personal favorite. We will definitely return there on our next visit if possible. So if you can only choose one, my vote is Blizzard Beach. However, if you can swing it, try to visit both because they both have tons of things to do and have their own style and fun. 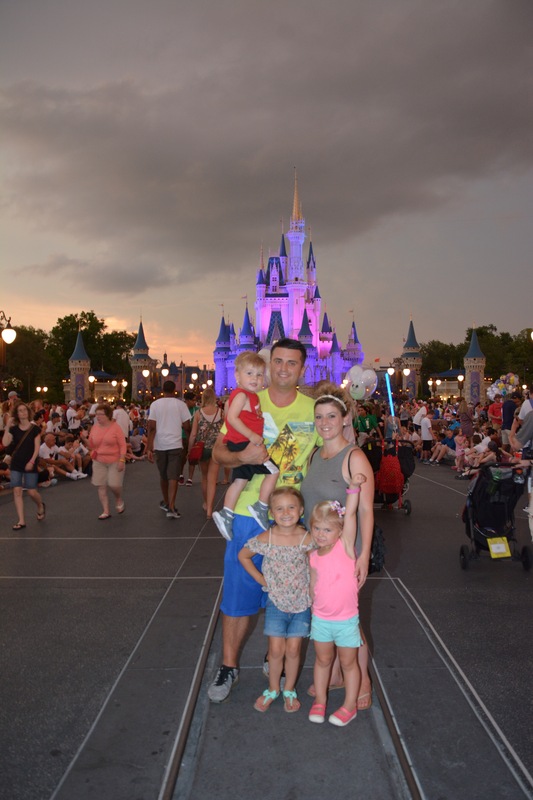 Previous Previous post: The 10 Things Preschoolers love at Disney World. Next Next post: Strategically planning the Magic Kingdom so you can do more, in shorter time.